Marinated pieces of filet mignon in a wild mushroom Madeira sauce with "Smashed Potatoes"
Been going there for 18 years. Always great! We were right next to a group of women who were very loud. Other than that, everything was perfect! Always good times and great food all the menu items are good. Great food, excellent service, never felt rushed even though it was busy. Always great food! Kaitlyn was kind enough to have the bar make me a baby blue martini and it turned out great even though it’s not on their martini list! 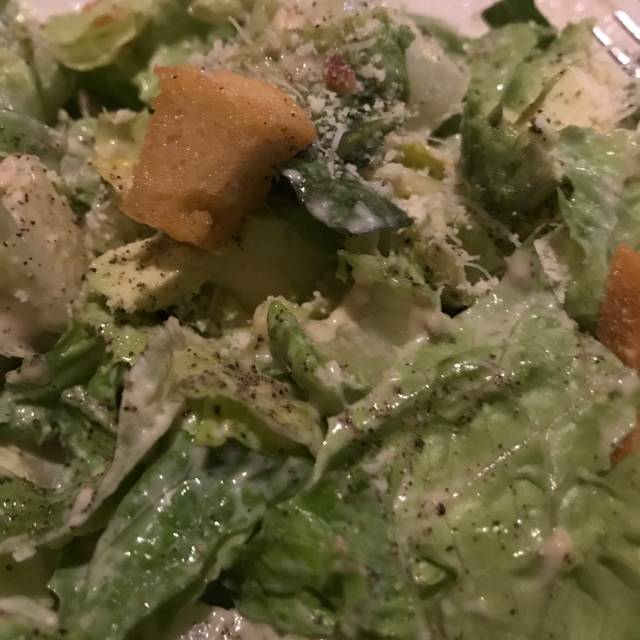 Alexander salad fantastic with champagne dressing. Highly recommend. Food was great. Waiter Daniel was awesome. Great food. For sure recommend using open table app to make reservations- this works out very well!!! We felt that we were rushed to make a selection. It was very noisy so having a conversation was difficult. Would of liked to have a pasta selection on the menu. We were seated and no one came to our table. I had to get up and get the hostess to get someone to wait on us. We ordered drinks from her, and she never came back to deliver the them. I saw them sitting on the end of the bar waiting to be picked up. The manager, Dan, delivered our drinks to us. She came back to the table after our food was delivered once, never came back to see if we wanted more drinks, or if our food was all right. Her name was Millie. We have been dining at Js for many years. I would say since the summer of 2018 to the present, the service has declined significantly. It is not the same quality that it used to be in past years. The bartenders aren’t friendly or could care if we were there. My husband and I have always loved to sit up at the bars and socialize with the people around us. I don’t feel like we can do that anymore at this restaurant. I hope with this comment through OpenTable, something changes with this restaurant. Service was impeccable! Food was absolutely delicious! Burgers were really good..fries are the best..nice and crunchy..
Waitress did not come by to check on us. Was very disappointed in service tonight. Great service, we made reservations and didn't have to wait at all gave her my name and they took us to our table. 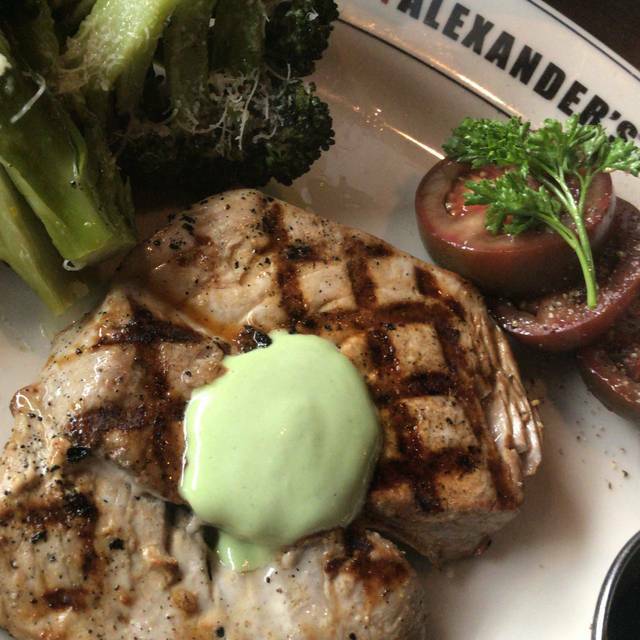 J Alexanders is always a favorite place to take guests. However, on this occasion there were two concerns, one small and one larger. The small one was the servers were inconsistent - one in particular was outstanding but another was cool, like small requests were bothersome. So, they offset each other. The larger issue was that we were seated in a booth where an air conditioner would turn on and off, creating a cold draft, that made us put on and take off our coats. We would mention it to a server and she would say she'd report it and it would turn off, but then it would turn on again. This happened several times. Apparently everyone, waitstaff and bartenders, was familiar with that problem and yet we were seated there even though we had a reservation. Eventually we had to just give up and move to the bar to finish up. So, I always like J Alex for food, atmosphere, and service, but this night was not so great. Always memrable always exceptional. You will not be disappointed! 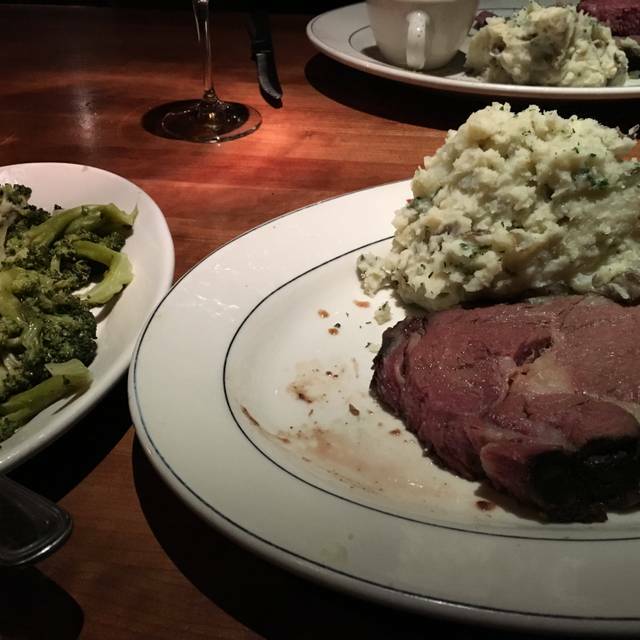 We go to J. Alexander’s at least once a month. Tried to change it up recently and tried a few other restaurants nearby and they did not even compare. My salmon was cooked perfectly. We go on Saturday’s because we love the Red River Chili. This place never disappoints! Always get the salmon dip... it's amazing! So our server was Jason and pretty much only showed up until the very end to give us our bill. 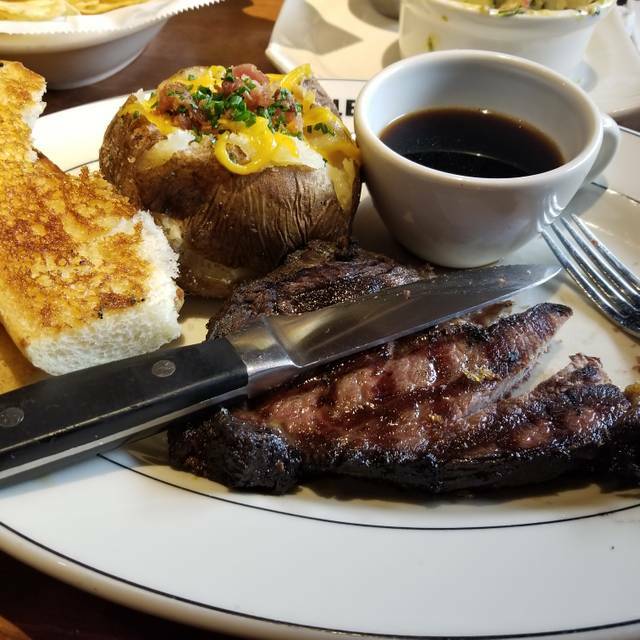 Other servers were very kind to take our order and make sure everything came out good. The food was good as always. Outstanding food and service as usual. Consistently great service and good food . J Als is our go to restaurant in Livonia. 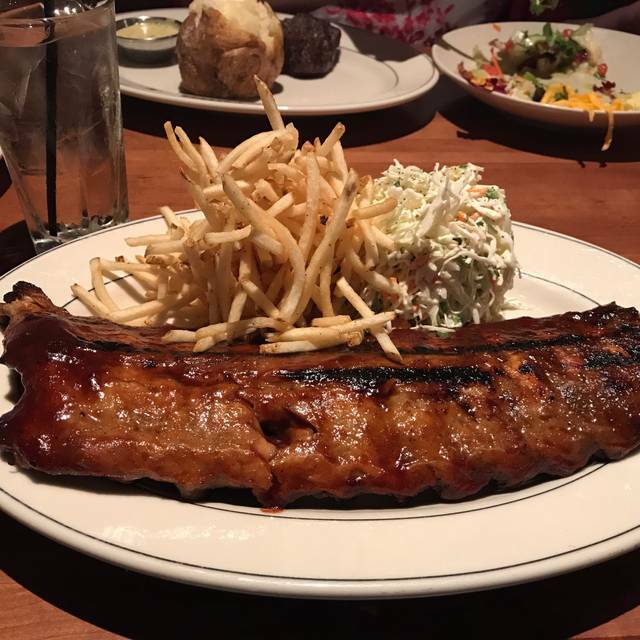 Typically we have great experiences at this J Alexander's - one of our favorite restaurants. Unfortunately, this time, it was much louder than usual especially with some highly energetic tables nearby - could barely hear the person across the table from me. Especially disappointing was the service. Had to ask for drink/cocktail menu twice and then it took a long time to get our drinks - so long we were almost finished with our meals by the time they arrived; to make matters worse, the waitress placed the blame with the hostess staff - she should have comped our drinks! Hopefully our next visit will return to the normal excellent experience. 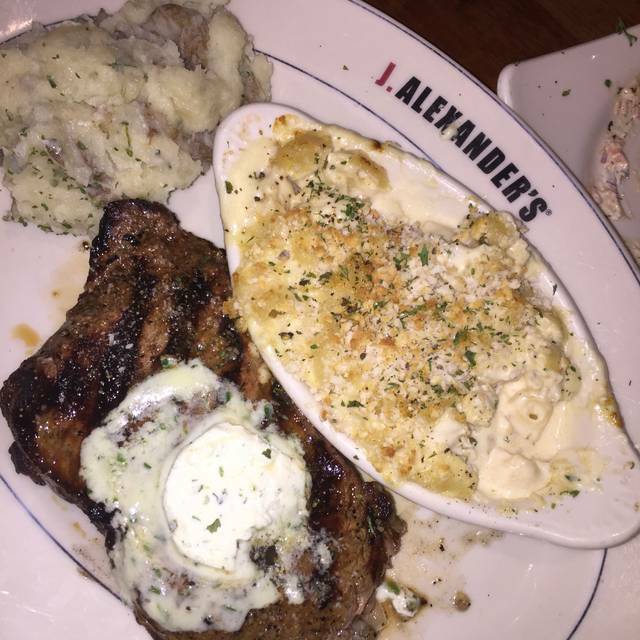 J. Alexander's is always a special place for us. 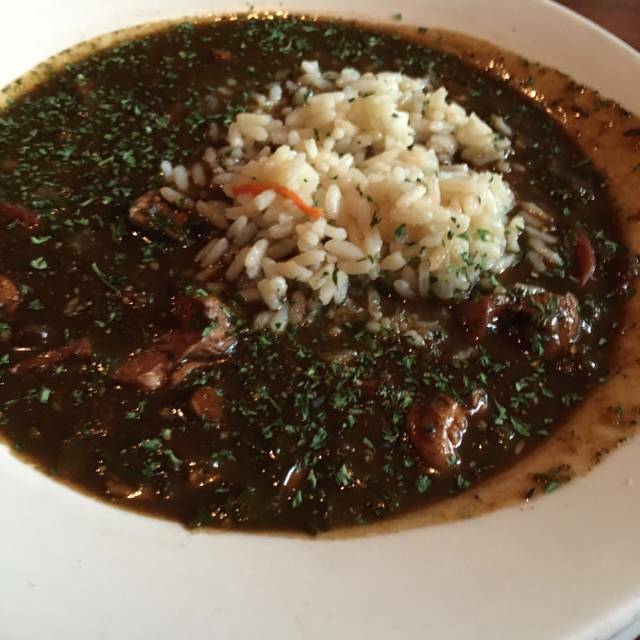 The service is great, and the food is consistently outstanding. We enjoy the ambiance and often celebrate birthdays and anniversaries here. Another in a long string of memorable dinners at one of our favorite restaurants! Thanks John, Terry and crew! Very nice dinner experience. We've been here before and always enjoyed ourselves. Our server was the best. The way the staff supports the tables was impressive, food was served and plates removed like we were only ones there. Yes we will be back soon. Overall it was a nice dining experience celebrating my birthday with my daughter before going to the Justin Timberlake concert. 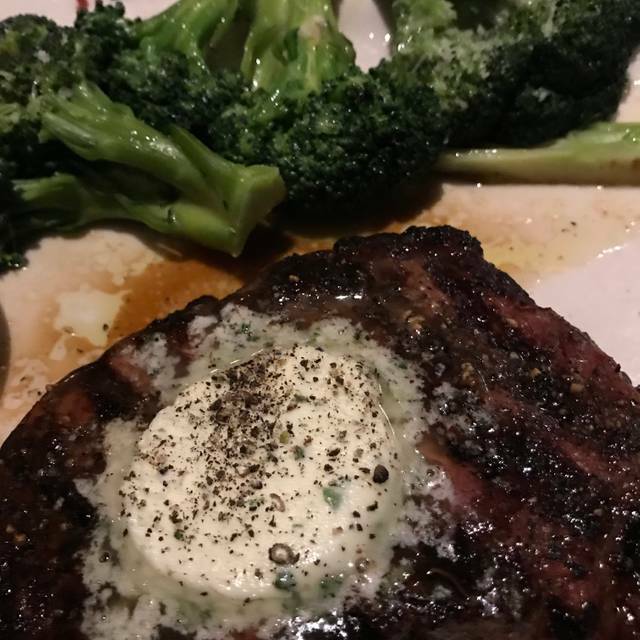 My only issue was my steak was very chewy so I had to spit about half of it out because it was not edible. Drinks were good. Our server was very nice. The service was good and the food was great. Beth the manager is spectacular. She made sure everything was up to par, not only at our table, but at every other table also. The servers all work as a team, not to mention the cooks and individuals in the kitchen who are outstanding. The food is delicious and comes out warm and in a timely fashion. Nothing less than an exceptional experience is expected at this Livonia location. 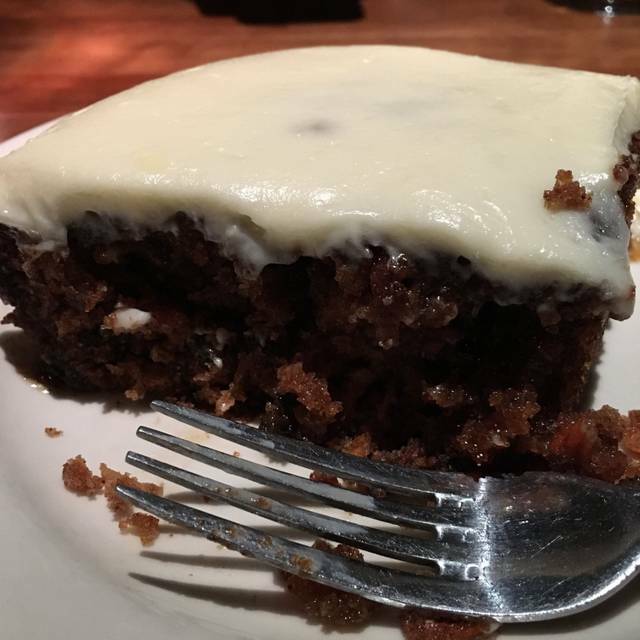 Dining has J. Alexander's is a consistently positive dining experience. They have very good service coupled with very good food to be an ideal combination. Would wish that some past favorite dishes would make its way back to the menu, such as Rattlesnake Pasta or Penne with Chicken. However, still highly recommend the restaurant. The service is always impeccable as well as the food !! !